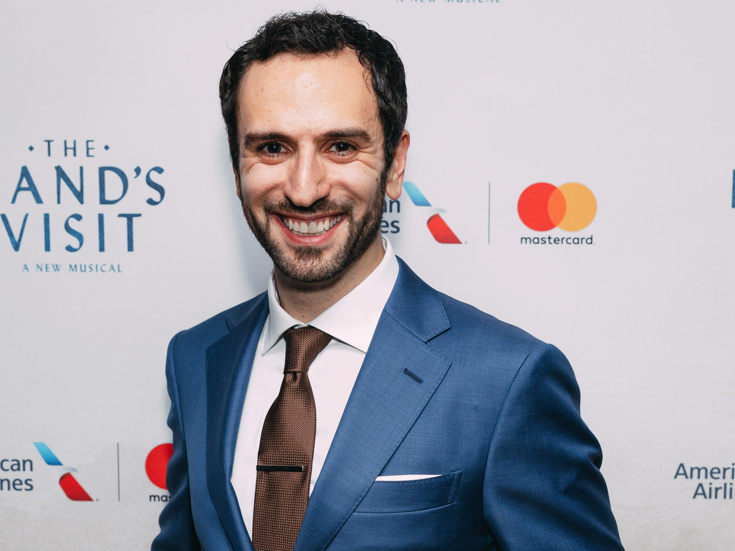 Pomme Koch, an original standby of The Band's Visit, graduates to the role of Itzik in the Tony-winning hit beginning on February 12. Koch replaces Brandon Uranowitz, who exited the production on February 10 to begin rehearsals for Burn This. Koch made his Broadway debut in The Band's Visit. His other stage credits include The Year to Come, A Thousand Splendid Suns, The Invisible Hand and Baghdaddy. He has been seen on the small screen in Blue Bloods and House of Cards. Based on the 2007 screenplay by Eran Kolirin, The Band's Visit follows an Egyptian police band that arrives in Israel to play a concert. After a mix-up at the border, they are sent to a remote village in the middle of the desert. With no bus until morning and no hotel in sight, these unlikely travelers are taken in by the locals. Under the spell of the desert sky, their lives become intertwined in the most unexpected ways. The Band's Visit features a Tony-winning book by Itamar Moses and a Tony-winning score by David Yazbek, with Tony-winning direction by David Yazbek, music direction by Andrea Grody and choreography by Patrick McCollum.